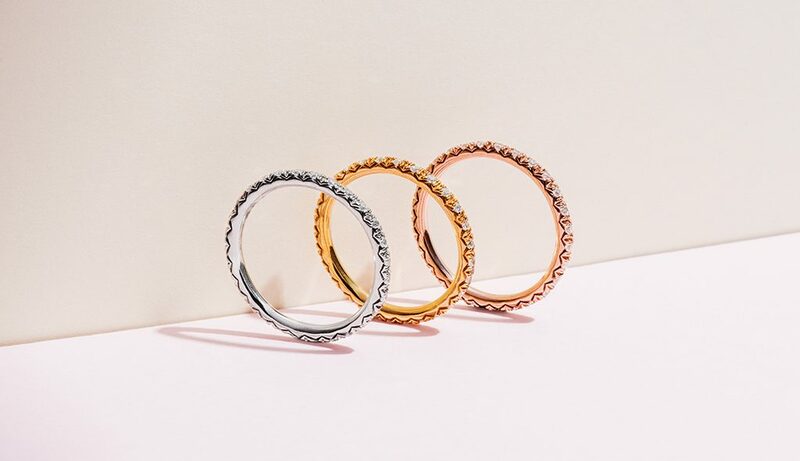 Eternity rings rock all around, literally: these bands are surrounded by glittering diamonds or gemstones. Whether as wedding bands, anniversary rings, or gifts for special occasions, eternity rings are a great way to celebrate infinite love. These rings give a boost of shine to complement engagement and wedding rings. For maximum sparkle, stack your eternity ring with a pavé engagement ring and a diamond wedding band. This delicate common prong setting allows for a spectacular amount of light to reflect through its brilliant cut diamonds. Trend alert! This emerald shaped diamond ring is one of the hottest jewelry styles of the moment. A reminder that the classic can be a showstopper, too! This pavé ring’s diamonds are held closely with metal prongs all around. Bezel settings show only the face of the shimmering diamond, creating a clean and modern look. The milgrain detail adds a vintage twist, making it a totally timeless piece. Why not go for a splash of color to complement your other rings? Emerald, the May birthstone, gives this diamond ring a simultaneously earthy and glamorous feel. The intricate trellis setting makes this ring a work of art from every angle. Plus, the diamonds’ exposure allows for optimal light reflection. Sleek and smart, the channel setting makes diamonds extra secure and protects them from catching on clothing. The single pieces of metal between the diamonds allows each stone to stand out on its own while contributing to a gleaming pattern. Ready to find your own? 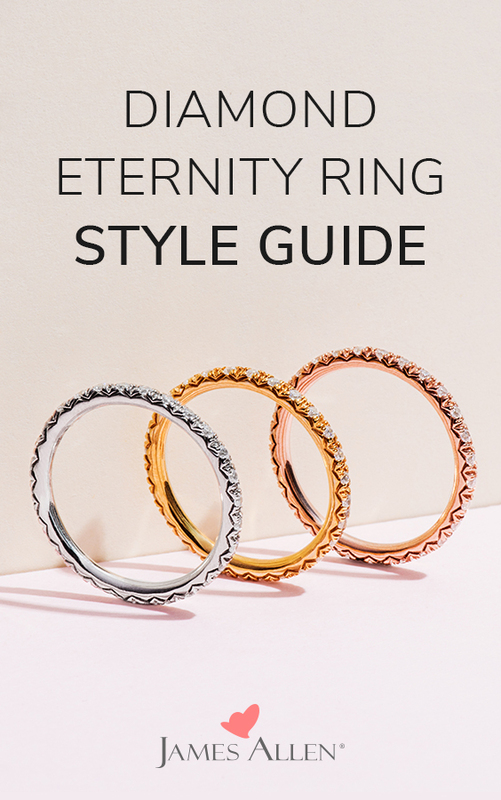 Shop eternity rings here. Want to spend forever with these eternity rings? Let us know in the comments below, or on our social channels: Instagram, Facebook, Snapchat, or Twitter. Read our matching guide to find out which engagement rings pair best with an eternity diamond wedding band.